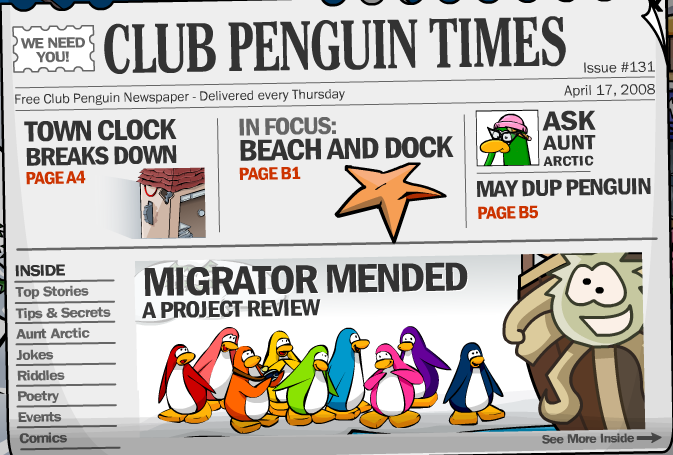 There’s gonna be a party for the completion of the Migrator. 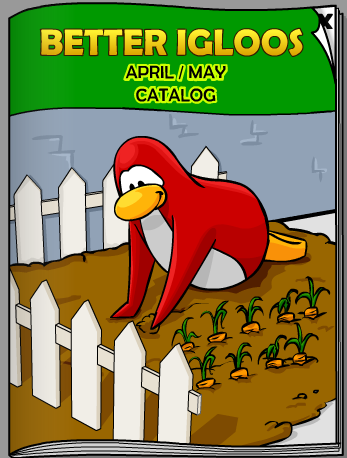 It’s on April 25th. The first player-written artile came out today too. It’s not the best article ever, I bet some people would have done a better job. 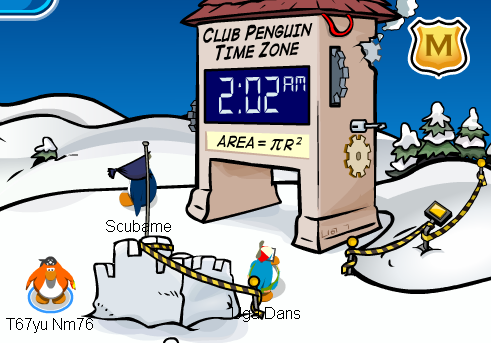 Also, someone has messed up the clocks in Club Penguin. 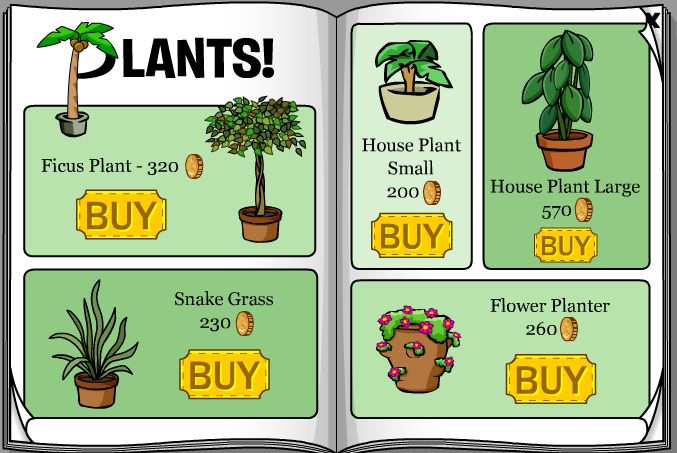 I have a shrewd idea it was Herbert. 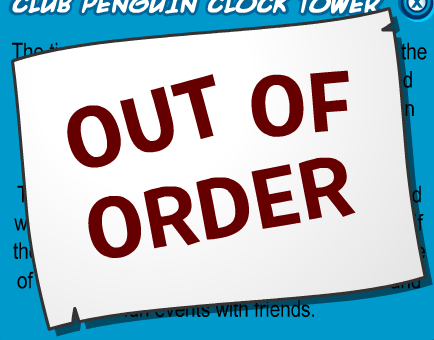 The clock tower’s target is missing, & it’s gone crazy. Here are a few pictures. 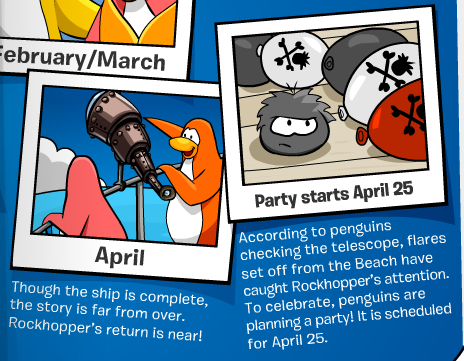 Rockhopper is also in the telescope. It looks like he got a new speed boat engine. The flares must have attracted him. 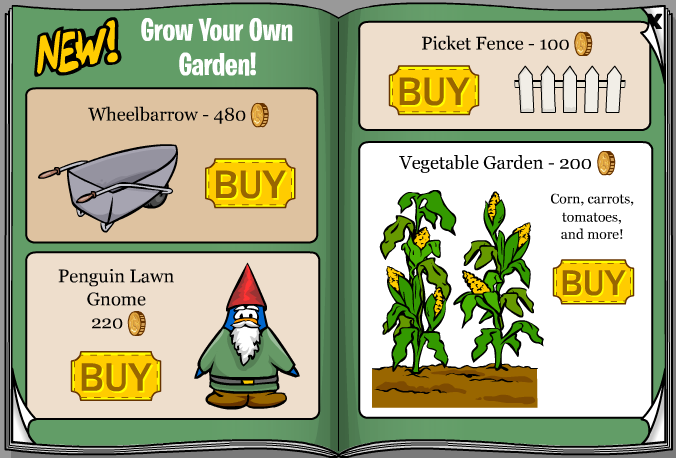 There’s also gonna be a garden option available for your igloo tomorrow. The newspaper has an article about it. 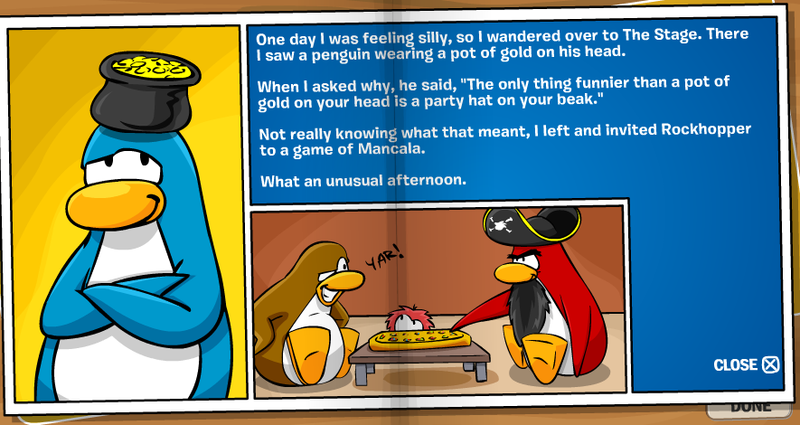 Billybob also posted a sneak peek of it yesterday on the official blog. 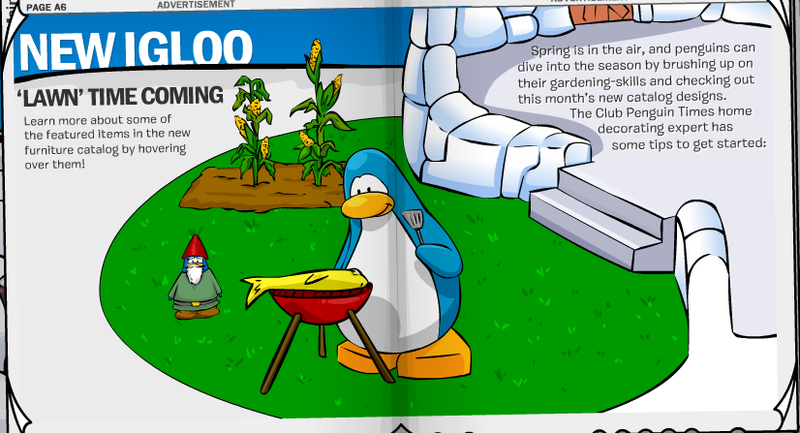 But thanks to some guys on the Miniclip forums, I got my hands on the actual catalogs! Here are some pictures. This is the front cover of the furniture catalog. There are some cool new garden furniture too. 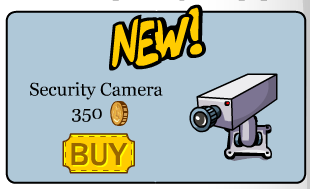 There’s also a new CCTV camera! 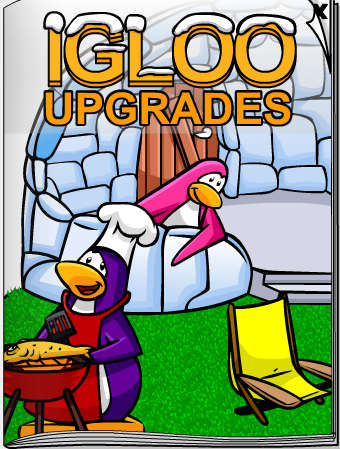 This is the cover of the igloo catalog. There’s some new fake grass flooring. 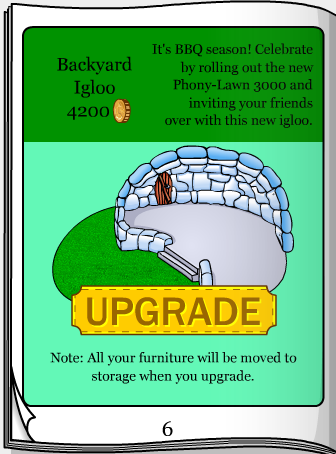 There’s a new type of igloo too. I’d say you’d need to buy the fake grass first to get the lawn. 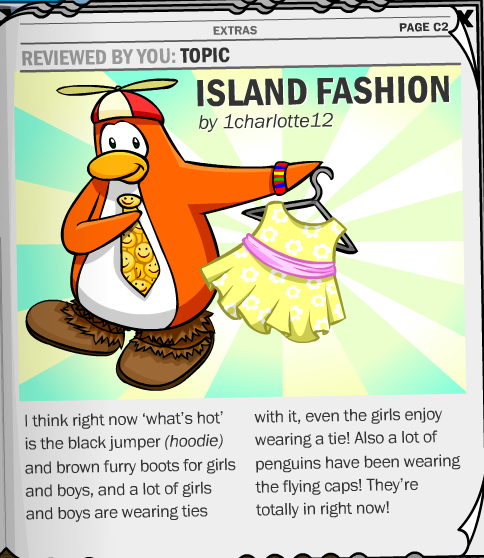 Tip: Does a picture on my blog look too small? Try clicking it.